1st House in Astrology and its importance: 1st house is also called as Ascendant (lagna) or Rising sign in Birth Chart (Kundli).This house is represented by Aries sign(Mesh rashi) whose lord is Mars(Mangal). This house represents Health, body, fame, personality and physique. 2nd House in Astrology and its importance: 2nd house is represented by Taurus sign (Virshabh rashi) whose lord is Venus(Sukhra).This house represents wealth, family, speech, gains. death. 3rd House in Astrology and its importance: 3rd house is represented by Gemini sign (Mithun rashi) whose lord is Mercury (Budh).This house represents valour, efforts, arms, ears, younger brothers and sisters. 4th House in Astrology and its importance: 4th house is represented by Cancer sign (Karka rashi) whose lord is Moon(Chandra).This house represents mother, house, vehicles, throne or high position. 5th House in Astrology and its importance: 5th house is represented by Leo sign (Singha rashi) whose lord is sun(Surya).This house represents education, children, dignity and loss of power. 6th House in Astrology and its importance: 6th house is represented by virgo sign (Kanya rashi) whose lord is Mercury(Budh).This house represents court cases, sickness, accidents, debts, uncles and cousins. 7th House in Astrology and its importance: 7th house is represented by Libra sign (Tula rashi) whose lord is Venus(Sukhra).This house represents marriage, business partner, attainment of position, death etc. 8th House in Astrology and its importance: 8th house is represented by Scorpio sign (Virshtaka rashi) whose lord is Mars(Mangal).This house represents wife’s property, inheritance, windfall money, long and incurable sickness, death. 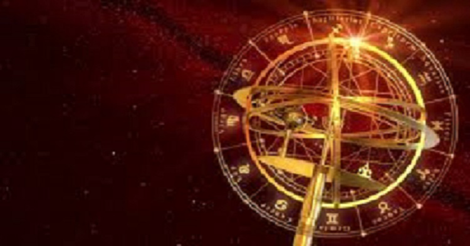 9th House in Astrology and its importance: 9th house is represented by Sagittarius sign (Dhanu rashi) whose lord is Jupiter (Guru).This house represents father, luck, guru, pilgrimages. 10th House in Astrology and its importance: 10th house is represented by Capricon sign (Makara rashi) whose lord is Saturn(Shani).This house represents position, achievement, glory, father. 11th House in Astrology and its importance: 11th house is represented by Aqurious sign (Kumbh rashi) whose lord is Saturn (Shani).This represents gains, honors, elder brothers and sisters. 12th House in Astrology and its importance: 12th house is represented by Pises sign (Meena rashi) whose lord is Jupiter(Guru). This house represents expenditure, jail, foreign country and salvation.